3.3L V6 SMPI SOHC, 4WD, 16" Painted Alloy Wheels, 4.64 Axle Ratio, 8 Speakers, ABS brakes, Air Conditioning, AM/FM radio, AM/FM Stereo w/6 Disc CD Changer, Bodyside moldings, CD player, Compass, Driver door bin, Dual front impact airbags, Front anti-roll bar, Front Bucket Seats, Front Center Armrest w/Storage, Front fog lights, Front reading lights, Front wheel independent suspension, Illuminated entry, Leather steering wheel, Outside temperature display, Panic alarm, Passenger door bin, Passenger vanity mirror, Power door mirrors, Power steering, Power windows, Premium Woven Cloth Seat Trim, Radio data system, Rear anti-roll bar, Rear window defroster, Rear window wiper, Regular Ride Suspension, Remote keyless entry, Roof rack, Security system, Speed control, Split folding rear seat, Steering wheel mounted audio controls, Tachometer, Tilt steering wheel, Variably intermittent wipers. Visit us online at www.firstteamnissannrv.com. Good People, Great Values! Priced below KBB Fair Purchase Price! 16" x 6.5" Alloy Wheels, 3rd row seats: split-bench, 4.428 Axle Ratio, 4-Wheel Disc Brakes, 7 Speakers, ABS brakes, Air Conditioning, AM/FM radio, AM/FM Stereo CD/Cassette w/7 Speakers, Automatic temperature control, Bodyside moldings, Bumpers: body-color, Cassette, CD player, Cloth Seat Trim, Driver door bin, Driver vanity mirror, Dual front impact airbags, Dual front side impact airbags, Four wheel independent suspension, Front anti-roll bar, Front Bucket Seats, Front Center Armrest, Front reading lights, Garage door transmitter: Homelink, Illuminated entry, Occupant sensing airbag, Outside temperature display, Overhead console, Panic alarm, Passenger door bin, Passenger vanity mirror, Power door mirrors, Power driver seat, Power steering, Power windows, Rear air conditioning, Rear anti-roll bar, Rear reading lights, Rear seat center armrest, Rear window defroster, Rear window wiper, Reclining 3rd row seat, Remote keyless entry, Roof rack: rails only, Security system, Speed control, Speed-sensing steering, Split folding rear seat, Spoiler, Steering wheel mounted audio controls, Tachometer, Tilt steering wheel, Variably intermittent wipers. Visit us online at www.firstteamnissannrv.com. Good People, Great Values! Northstar 4.6L V8 SFI DOHC, Cashmere w/Leather-Appointed Seat Trim, 4-Wheel Disc Brakes, 5-Passenger Seating, 9 Speakers, ABS brakes, Adaptive suspension, Air Conditioning, Alloy wheels, AM/FM radio: XM, Auto-dimming door mirrors, Auto-dimming Rear-View mirror, Auto-leveling suspension, Automatic temperature control, Bodyside moldings, Brake assist, Bumpers: body-color, CD player, Compass, Custom Perforated Leather-Appointed Seat Trim, Delay-off headlights, Driver door bin, Driver vanity mirror, Dual front impact airbags, Dual front side impact airbags, Electronic Stability Control, Emergency communication system, ETR AM/FM Stereo w/CD/MP3 Disc Playback, Four wheel independent suspension, Front anti-roll bar, Front Bucket Seats, Front Center Armrest w/Storage, Front dual zone A/C, Front fog lights, Front reading lights, Fully automatic headlights, Garage door transmitter, harman/kardon® Speakers, Heated door mirrors, Heated front seats, Illuminated entry, Leather Shift Knob, Leather steering wheel, Low tire pressure warning, Memory seat, MP3 decoder, Occupant sensing airbag, Outside temperature display, Overhead airbag, Panic alarm, Passenger door bin, Passenger vanity mirror, Power door mirrors, Power driver seat, Power passenger seat, Power steering, Power windows, Radio data system, Rain sensing wipers, Rear anti-roll bar, Rear reading lights, Rear seat center armrest, Rear window defroster, Remote keyless entry, Speed control, Speed-sensing steering, Steering wheel mounted audio controls, Tachometer, Tilt steering wheel, Traction control, Trip computer, Turn signal indicator mirrors, Variably intermittent wipers. Odometer is 21881 miles below market average! 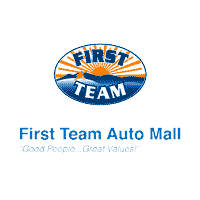 Visit us online at www.firstteamnissannrv.com. Good People, Great Values! Recent Arrival! Gray w/Dakota Leather Upholstery, 10 Speakers, 10-Way Power Front Bucket Seats, 4-Wheel Disc Brakes, ABS brakes, Air Conditioning, Alloy wheels, AM/FM radio, AM/FM Stereo w/CD Audio System/10 Speakers, Auto tilt-away steering wheel, Automatic temperature control, Brake assist, Bumpers: body-color, CD player, Delay-off headlights, Driver door bin, Driver vanity mirror, Dual front impact airbags, Dual front side impact airbags, Electronic Stability Control, Emergency communication system: BMW Assist, Four wheel independent suspension, Front anti-roll bar, Front Bucket Seats, Front Center Armrest, Front dual zone A/C, Front fog lights, Front reading lights, Fully automatic headlights, Genuine wood console insert, Genuine wood dashboard insert, Genuine wood door panel insert, Head restraints memory, Heated door mirrors, Illuminated entry, Leather Shift Knob, Leather steering wheel, Leatherette Upholstery, Low tire pressure warning, Memory seat, Occupant sensing airbag, Outside temperature display, Overhead airbag, Panic alarm, Passenger door bin, Passenger vanity mirror, Power adjustable front head restraints, Power door mirrors, Power driver seat, Power moonroof, Power passenger seat, Power steering, Power windows, Radio data system, Rain sensing wipers, Rear air conditioning, Rear anti-roll bar, Rear reading lights, Rear seat center armrest, Rear window defroster, Remote keyless entry, Security system, Speed control, Speed-sensing steering, Speed-Sensitive Wipers, Steering wheel memory, Steering wheel mounted A/C controls, Steering wheel mounted audio controls, Tachometer, Telescoping steering wheel, Tilt steering wheel, Traction control, Trip computer, Variably intermittent wipers, Weather band radio. 19/29 City/Highway MPG Visit us online at www.firstteamnissannrv.com. Good People, Great Values! **** 2013 Ford Fiesta SE *ONE OWNER...NO ACCIDENTS*, *ALLOY WHEELS*, *RECENT OIL CHANGE*, *VEHICLE DETAILED*, ABS brakes, Air Conditioning, Bumpers: body-color, Compass, Driver door bin, Driver vanity mirror, Dual front impact airbags, Dual front side impact airbags, Electronic Stability Control, Front anti-roll bar, Front reading lights, Front wheel independent suspension, Heated door mirrors, Illuminated entry, Knee airbag, Low tire pressure warning, MP3 decoder, Occupant sensing airbag, Outside temperature display, Overhead airbag, Passenger door bin, Passenger vanity mirror, Power door mirrors, Power steering, Power windows, Radio data system, Radio: AM/FM Stereo/CD Player/MP3 Capable, Rear reading lights, Rear window defroster, Rear window wiper, Remote keyless entry, Speed control, Speed-sensing steering, Split folding rear seat, Spoiler, Steering wheel mounted audio controls, Tachometer, Telescoping steering wheel, Tilt steering wheel, Traction control, Trip computer, Turn signal indicator mirrors, Unique Cloth Front Bucket Seats, Variably intermittent wipers. Awards: * 2013 IIHS Top Safety Pick * 2013 KBB.com Brand Image Awards Since First Team opened our doors on October 3rd, 1988, we've been fortunate to become one of the most successful automotive dealership groups in the state of Virginia. From our humble beginnings as a Hyundai dealership (when most Americans didn't even know what a Hyundai was) to our new Hyundai, Genesis, Nissan, Volkswagen, Subaru and Prestige Collection dealerships today, we are proud to be the dealer with good people and great values for over 30 years! The First Team Internet Market Value Price (iMVP) is set by the Virginia market, not by us, so you get a fair, low price right up front! With iMVP, First Team uses a third-party source, Kelley Blue Book's Fair Market Value to automatically set our prices – so you're assured of getting a great price that's never misleading, with no hassles, no surprises. 2014 Fiat 500L Trekking Priced below KBB Fair Purchase Price! *ALLOY WHEELS*, 4-Wheel Disc Brakes, ABS brakes, Air Conditioning, Alloy wheels, Anti-whiplash front head restraints, Bodyside moldings, Brake assist, Bumpers: body-color, Driver door bin, Driver vanity mirror, Dual front impact airbags, Dual front side impact airbags, Electronic Stability Control, Front anti-roll bar, Front Bucket Seats, Front Center Armrest w/Storage, Front reading lights, Front wheel independent suspension, Heated door mirrors, Illuminated entry, Knee airbag, Leather steering wheel, Low tire pressure warning, Occupant sensing airbag, Outside temperature display, Overhead airbag, Overhead console, Passenger door bin, Passenger vanity mirror, Power door mirrors, Power steering, Power windows, Premium Cloth Low-Back Bucket Seats, Radio data system, Radio: Uconnect 5.0 AM/FM/BT, Rear window defroster, Rear window wiper, Remote keyless entry, Spoiler, Steering wheel mounted audio controls, Tachometer, Telescoping steering wheel, Tilt steering wheel, Traction control, Trip computer, Variably intermittent wipers. Since First Team opened our doors on October 3rd, 1988, we've been fortunate to become one of the most successful automotive dealership groups in the state of Virginia. From our humble beginnings as a Hyundai dealership (when most Americans didn't even know what a Hyundai was) to our new Hyundai, Genesis, Nissan, Volkswagen, Subaru and Prestige Collection dealerships today, we are proud to be the dealer with good people and great values for over 30 years! The First Team Internet Market Value Price (iMVP) is set by the Virginia market, not by us, so you get a fair, low price right up front! With iMVP, First Team uses a third-party source, Kelley Blue Book's Fair Market Value to automatically set our prices – so you’re assured of getting a great price that’s never misleading, with no hassles, no surprises. Recent Arrival! 6-Speed Automatic Electronic with Overdrive, 4-Wheel Disc Brakes, 7 Speakers, ABS brakes, Air Conditioning, Alloy wheels, AM/FM radio: XM, AM/FM Stereo w/Single CD/MP3 Player, Auto-dimming Rear-View mirror, Automatic temperature control, Brake assist, Bumpers: body-color, CD player, Compass, Delay-off headlights, Driver door bin, Driver vanity mirror, Dual front impact airbags, Dual front side impact airbags, Electronic Stability Control, Emergency communication system: OnStar Directions & Connections, Four wheel independent suspension, Front anti-roll bar, Front Bucket Seats, Front Center Armrest, Front dual zone A/C, Front fog lights, Front reading lights, Fully automatic headlights, Heated door mirrors, Heated Front Bucket Seats, Heated front seats, Illuminated entry, Leather-Appointed Seat Trim, Low tire pressure warning, Occupant sensing airbag, Outside temperature display, Overhead airbag, Overhead console, Panic alarm, Passenger door bin, Passenger vanity mirror, Power door mirrors, Power driver seat, Power passenger seat, Power steering, Power windows, Radio data system, Rear anti-roll bar, Rear reading lights, Rear seat center armrest, Rear window defroster, Remote keyless entry, Security system, Speed control, Split folding rear seat, Steering wheel mounted audio controls, Tachometer, Telescoping steering wheel, Tilt steering wheel, Traction control, Trip computer, Variably intermittent wipers, XM Satellite Radio. 19/30 City/Highway MPG Odometer is 14280 miles below market average! Awards: * 2011 IIHS Top Safety Pick Visit us online at www.firstteamnissannrv.com. Good People, Great Values! Recent Arrival! 2013 Ford Focus Titanium Priced below KBB Fair Purchase Price! 4-Wheel Disc Brakes, ABS brakes, Air Conditioning, Automatic temperature control, Brake assist, Bumpers: body-color, Compass, Delay-off headlights, Driver door bin, Driver vanity mirror, Dual front impact airbags, Dual front side impact airbags, Electronic Stability Control, Front Bucket Seats, Front Center Armrest, Front dual zone A/C, Front fog lights, Front reading lights, Fully automatic headlights, Heated door mirrors, Heated front seats, Illuminated entry, Knee airbag, Leather Shift Knob, Leather steering wheel, Occupant sensing airbag, Overhead airbag, Panic alarm, Passenger door bin, Passenger vanity mirror, Power door mirrors, Power driver seat, Power steering, Radio data system, Rear anti-roll bar, Rear window defroster, Remote keyless entry, Security system, SIRIUS Satellite Radio, Speed control, Spoiler, Tachometer, Telescoping steering wheel, Tilt steering wheel, Trip computer, Turn signal indicator mirrors. Awards: * Car and Driver 10 Best Cars * 2013 IIHS Top Safety Pick * 2013 KBB.com 10 Coolest New Cars Under $18,000 * 2013 KBB.com Brand Image Awards Car and Driver, January 2017. Since First Team opened our doors on October 3rd, 1988, we've been fortunate to become one of the most successful automotive dealership groups in the state of Virginia. From our humble beginnings as a Hyundai dealership (when most Americans didn't even know what a Hyundai was) to our new Hyundai, Genesis, Nissan, Volkswagen, Subaru and Prestige Collection dealerships today, we are proud to be the dealer with good people and great values for over 30 years! The First Team Internet Market Value Price (iMVP) is set by the Virginia market, not by us, so you get a fair, low price right up front! With iMVP, First Team uses a third-party source, Kelley Blue Book's Fair Market Value to automatically set our prices – so you’re assured of getting a great price that’s never misleading, with no hassles, no surprises.